Carrier Construction has completed dozens of Renovations and Additions in Bayfield and the surrounding communities. Carrier Construction, Inc. has completed dozens of renovation projects from garage/workshop additions to a 9000 square foot addition to the historic Rittenhouse Inn in Bayfield, Wisconsin. Greg will consider your needs, offer ideas on how to best renovate your home and give you an honest estimate as to the total cost of the project as you envision it. Carrier Construction made impressive style changes for owners who wanted to keep their basic "salt box" home but with a more functional renovation for modern living with lake views. A simple rectangular home was renovated and with the addition of an attached garage it became an attractive, cozy dwelling well suited to the Bayfield climate. 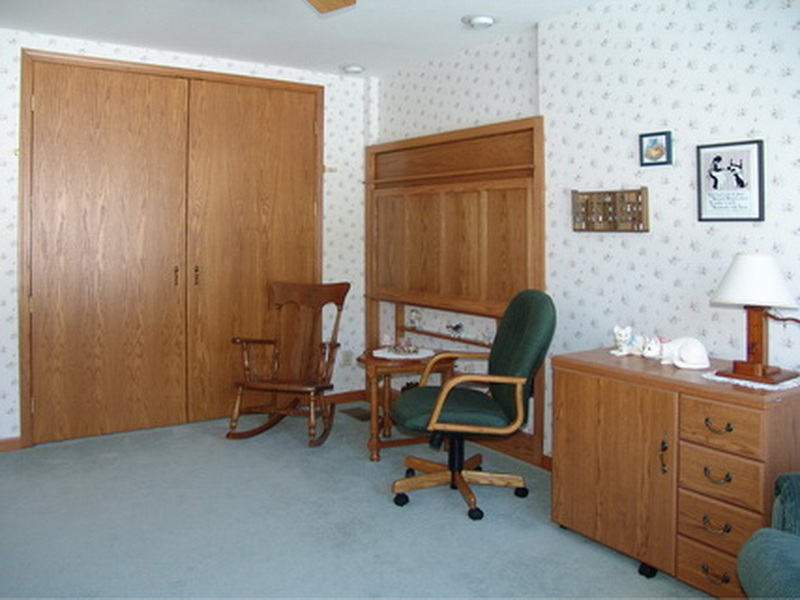 The conversion of a 15 by 22 foot portion of an attached garage into a multipurpose room to be used as an office, a sitting room, a sewing room and a guest bedroom was accomplished by Greg using "out of the box" ideas and his completed project met all of the wishes of the owner. Office function works well utilizing the computer kiosk with computer space, pull out desk, printer shelf and file drawers. 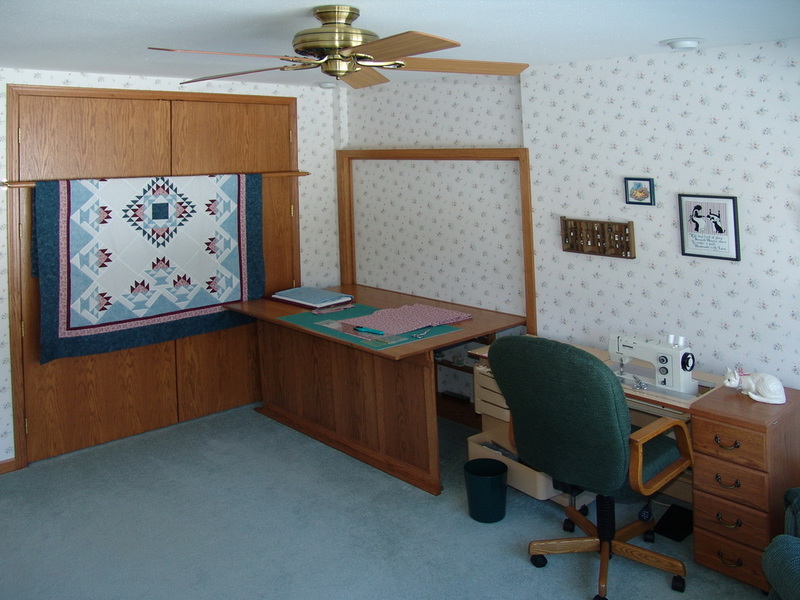 The sewing room configuration has the sewing machine in a cabinet and a pull down cutting table. 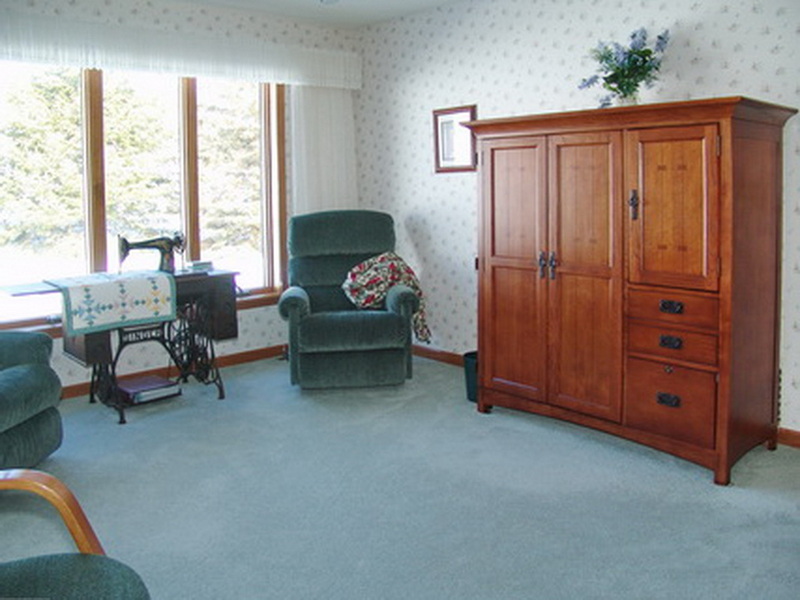 The sitting room can be converted into a spare bedroom in less than two minutes. 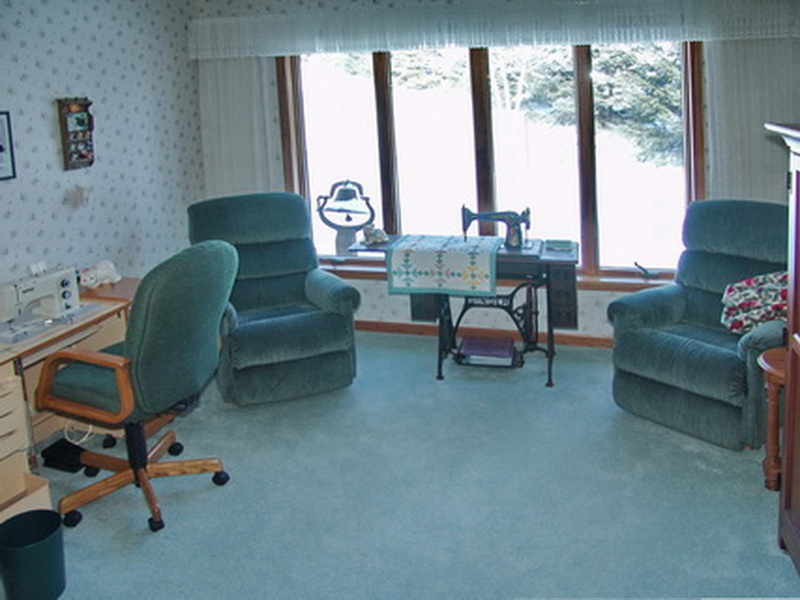 The end of the room with a view and windows is used as a sitting area. 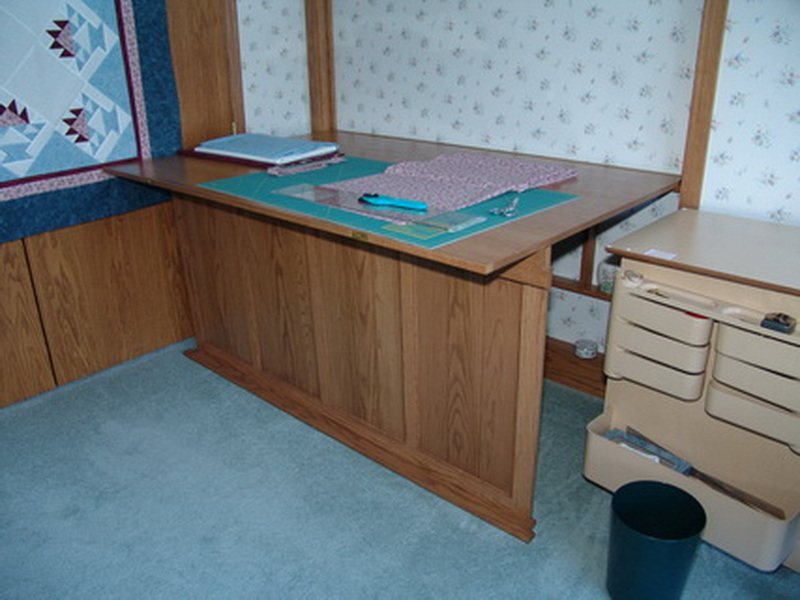 The cutting table is designed at the owners requested height and is inset into the wall to preserve space in the room. 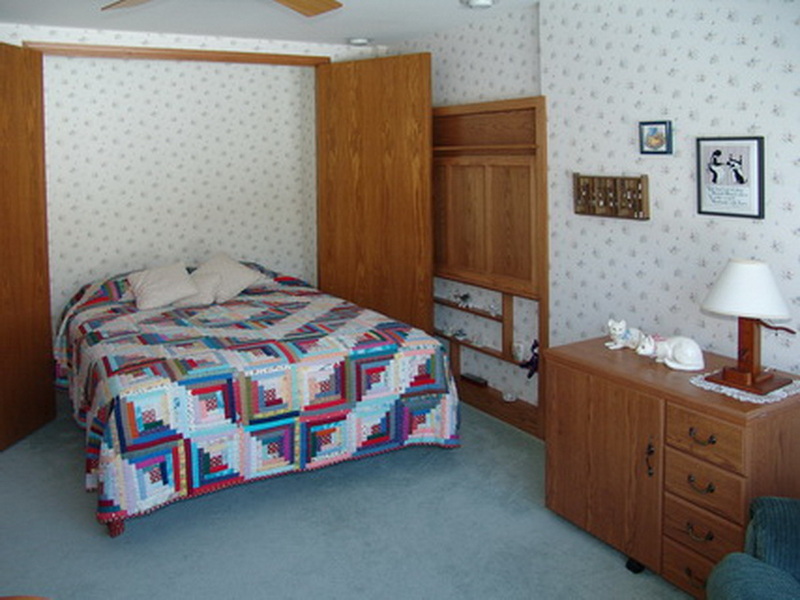 The guest queen sized Murphy bed is counterbalanced and folds down with one hand into the room from the 16 inch space behind the doors. Major reconstruction and renovation can turn an old farmhouse into the centerpiece of a country estate by replacement of a crumbling basement, well thought out additions and redesigned functionality. Whatever you would like changed about your current home or a home you are about to purchase Carrier Construction can work with you to offer fresh new ideas and suggestions which will expand the possibilities you consider for your living spaces.